If you’re a beginner traveler, the most important thing to remember is to learn the art of packing. The Thought Catalog explains that the general rule is to plan your outfits ahead of time. This will mean you don’t bring anything unnecessary. Lugging around unnecessary heavy baggage can get your journey off to a bad start. The most obvious advice is often the one most ignored. But how early should you really be? 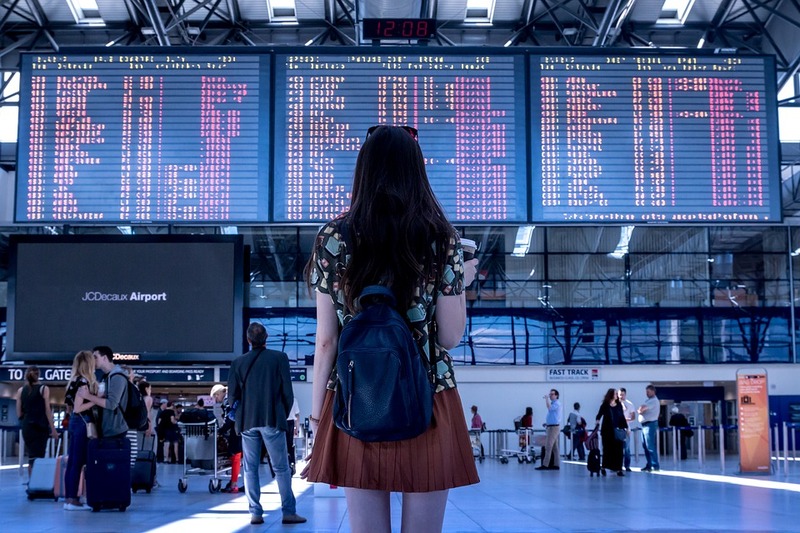 Conde Nast Traveler suggests you arrive at the airport at least two hours before your flight schedule—that is if it’s a domestic flight at a major airport and you have items of baggage to check in. For international flights, it’s best to be there three hours before and on busy days like the day before Thanksgiving, it’s best to add an extra hour. Getting there early allows you to check in and handle any unforeseen problems with enough time remaining to settle down and grab a bite. You should also check in online beforehand to save more time. This is very important when it comes down to the app of the carrier you’re flying with. You can often use your phone to scan a boarding pass or your carrier can send you notifications in case anything about your flight changes. You can also download a trip manager app like TripCase, as suggested by Forbes. You can link entire bookings, including hotels, car rentals, and even tourist attractions. Another helpful app is Dark Sky, which allows you to research what the weather is going to be like around the world—wherever you need to go. Things will not always go according to plan so try not to sweat on the small stuff as much as possible. Try to allow a little bit of your travel time to include a few minutes of tech-free silence, too. This is a good way to prepare yourself for a new environment and get rid of any stress you might feel while traveling. You can either sit in silence in one corner of the airport or find a quiet place where you can squeeze in 10 minutes of meditation. Online provider Expatbets, which presents information on the Asian gaming scene, wrote an article about the benefits of meditation. Apart from allowing a sense of peace and calm into the body, meditation is also a good way to quash stress and boredom. Some airports now offer meditation rooms, so take full advantage of them for a more relaxing flight. …But not too far ahead that you no longer get to enjoy the present moment. Make travel arrangements ahead of time so you don’t have to do anything at the last minute. On Single Parent Travel we’ve written about everything that can happen when travel arrangements go bad and how to prevent it. If you plan ahead enough, your trip would most likely be stress-free and successful. We hope this article helps you with your next trip and you have a great, hassle free, journey.